It’s never fun to hear about injuries, and it’s even worse to know that they were caused by other musical acts. Cash Cash were set to headline the ‘Inception at Sea‘ event over the weekend with very special guest Hip-Hop artist Tyga, but due to JP being allegedly attacked by Tyga and his crew right before they went on stage, they could not play; judging by the injuries sustained in the picture, this is going to become a serious issue in both artists lives for a long while. It’s unclear on what caused the altercation and why conflict escalated the way it did, but we wish a speedy recovery to JP. Early Saturday morning members of Tyga’s touring crew physically assaulted Cash Cash during an altercation backstage at Inception at Sea cruise festival. Members affected include Samuel Frisch, and Jean Paul Makhlouf. Jean Paul Makhlouf suffered a concussion, injured kidney, alongside bruises to his head and body following the scuffle. 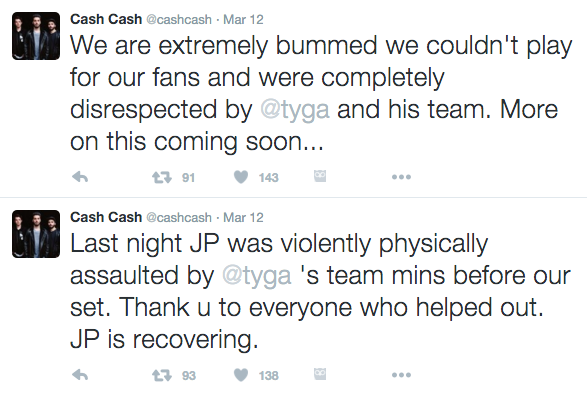 One member of Tyga’s touring crew hit Jean Paul Makhlouf of Cash Cash in the face following a verbal altercation when Tyga’s crew refused to leave the stage after the promoter called Cash Cash to start their already delayed set. 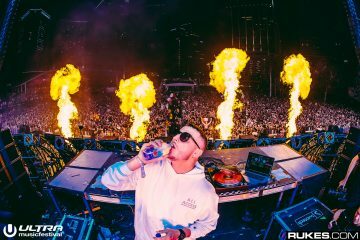 [Tyga had postponed his 12:30-1am set to 1:45-2:35am overlapping with the set time of Cash Cash on the same stage.] 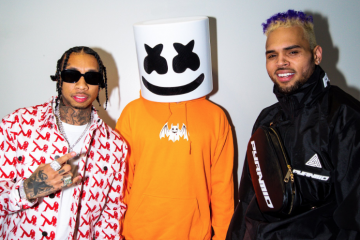 A Tyga crew member was then filmed kicking Jean Paul in the ribs, while another Tyga crew member slammed him to the ground, punching and kicking his head and body while on top of him. Samuel Frisch was also shoved during the scene. 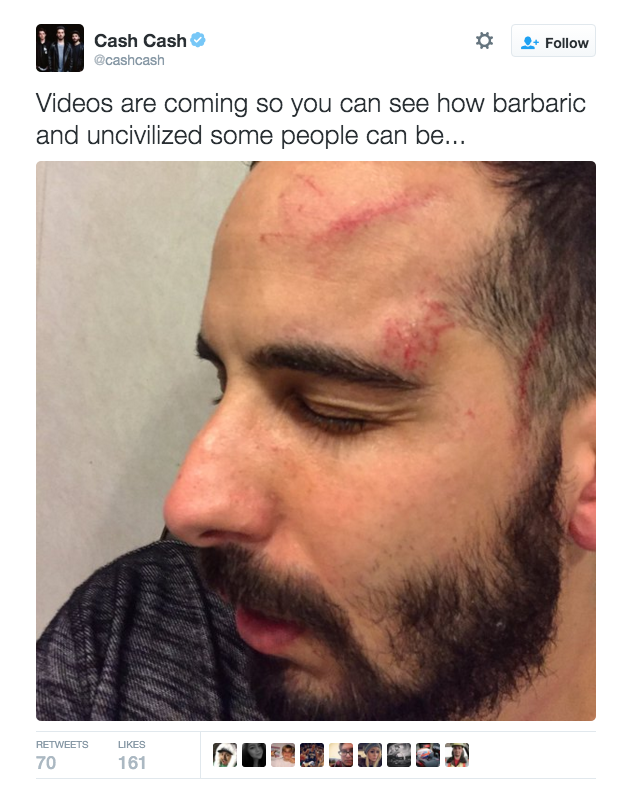 Cash Cash was unable to perform their set and Makhlouf was also forced to miss their following show to recover from the incident.